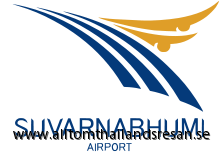 Upon arrival at Bangkok's Suvarnabhumi International Airport, you can pre-book transfers to and from Bangkok Suvarnabhumi Airport. When you arrive you will find a representative there with your name on a sign, easy! 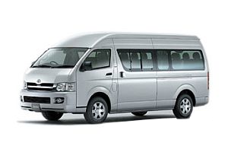 Your journey down to Rayong can start immediately without unnecessary hassle. We transport you to our lodging in Mae Phim, Suan Son, Mae Rumphung and Ban Phe. The travel time between Bangkok airport to Mae Phim is approx 2 hours, and the trip to Mae Phim is the highway of good quality. Pre-book your travel from the airport in Bangkok via Allt om Thailandsresan so there will be a car or bus depending on how many people you are travelling. Once you have landed in Bangkok there is a representative with your name and the trip to Mae Phim and our other accommodations in Rayong can begin. Fill in if you want to have a transport service already when you make an inquiry with us to get as accurate price as possible! Bangkok Airways flies daily to both Koh Samui and Koh Phuket! 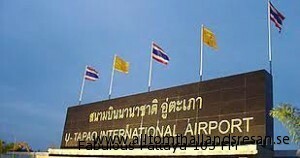 They provide direct services to airport U-Tapao also called (Pattaya Airport) From the airport it takes about 45 minutes by transfer to our accommodations.